The Agro team, Pantelis Karasavvas, Theodore Protekdikou and Harris Seimanidis (all A Lyceum students) won the preliminary round of the International Competition “The Diamond Challenge” and next week (April 13-15), the three students depart for America to represent our country and Pierce in the final round of the Competition at the University of Delaware. See the program of the final round here. The entrepreneurial idea of our three students was presented on the front page of the newspaper Kathimeriini, on Wednesday, February 27. On Saturday, February 9, 2019, Pierce hosted the preliminary round of the Diamond Challenge, at which 11 student teams presented their ideas to a Panel of Judges, with the theme Social Innovation. 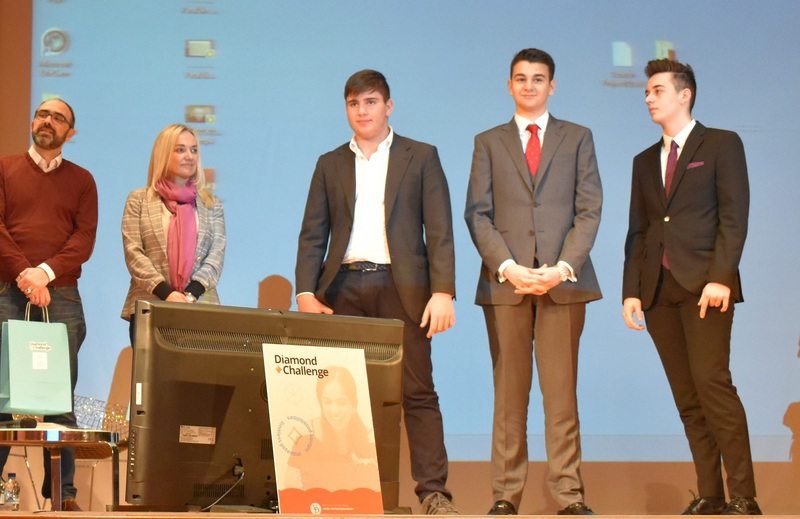 This is the largest international program on Student Entrepreneurship for Lyceum students, and involves the participation of many countries all around the world, under the auspices of the University of Delaware Horn Entrepreneurship και the Paul and Linda McConnell Entrepreneurship Initiative (https://diamondchallenge.org/). For this year, all of the teams’ entrepreneurial ideas were part of the Pierce Pitch Event, and dealt exclusively with the field of Social Innovation. In practical terms, this means that every idea must solve a social problem and make a positive contribution to people, society and the environment.